It's Good to be Queen. 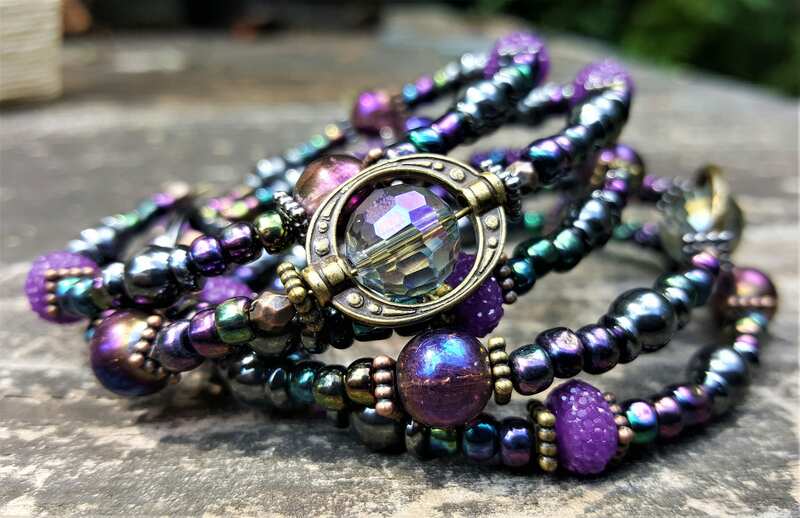 Lex's signature bracelet is a mix of iridescent greens and bronzes and purples mixed with gorgeous crystal and unique, glittery purple glass beads, this is truly fit for royalty. A matching It's Good to be Queen Memory Necklace is available in 20"
The small memory wire bracelet is shaped like an oval (2.5" x 1.75"). 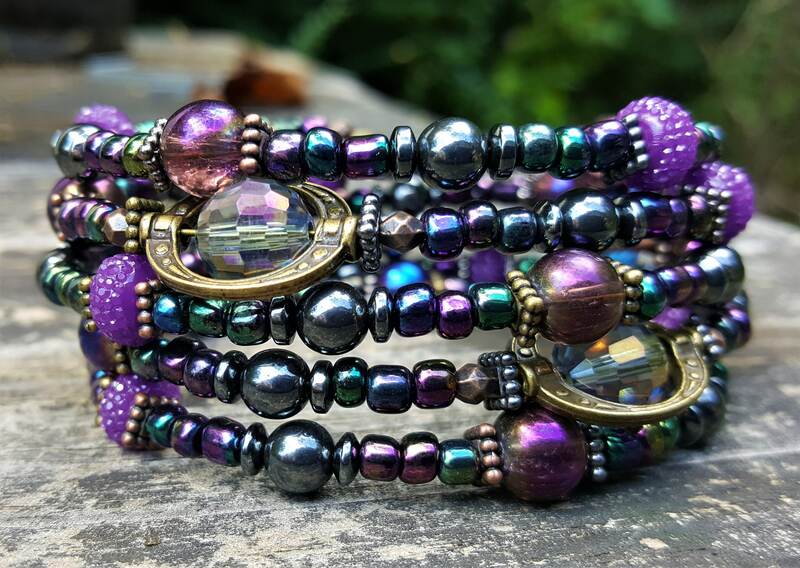 It may wrap with some room on smaller wrists or wrap fewer times on larger wrists. 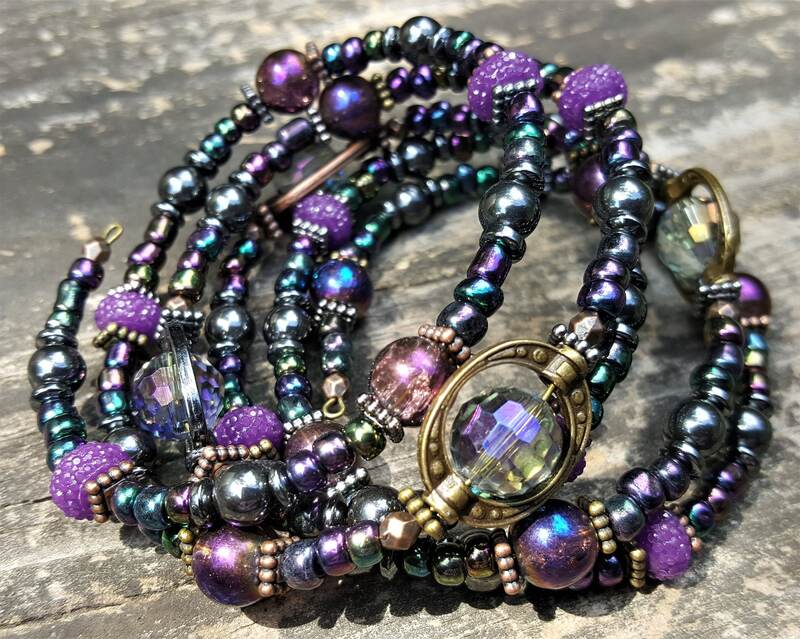 The large memory wire bracelet is shaped like an oval (3" x 2.25"). It may be too big for smaller wrists or fit snugly on very large wrists.